One council has issued “best practice” advice to all schools in its area to “ban all pork products in order to cater for the needs of staff and pupils who are not permitted contact with these for religious reasons”. The guidance, issued in Haringey, north London, does not specify what proportion of a school’s intake should object to the meat – which is not eaten by devout Muslims or Jews – before it is dropped. The policy was criticised last night by MPs and farmers’ leaders, who accused head teachers of depriving other children of a choice and pointed out that all schools already offer vegetarian options. Pabulum, a school caterer in south-east England, said that around 20 of the 48 primary schools it supplied chose only non-pork lunches. Most serve no halal or kosher meat, however, so many Muslim or Jewish pupils would not be able to eat the dishes anyway. In Luton, 23 out of 57 schools which contract their dinners from the local authority have a “no pork” policy. In Bradford the figure is 24 out of 160; in Newham, east London, it is 25 out of 75; in Tower Hamlets, east London, it is 85 out of 90. In Haringey’s infant, junior and primary schools, 37 out of 47 serve no pork. At Cypress Junior School, in Croydon, south London, Nicky Godetz, the head teacher, announced in this month’s newsletter that the school had opted for a pork-free menu “as a result of pupil and parental feedback”. “The sausages served will now be chicken rather than pork,” she added. Muslim and Jewish pupils are in a minority at the school, where most of the intake are of white British, black Caribbean or black African heritage. Other pork-free schools include Cranford Park Primary School in Hayes, Middlesex, and Dog Kennel Hill Primary, in East Dulwich, south London, both with pupils from a wide range of ethnic minorities. Muslim and Jewish leaders said they had never asked for schools to ban pork. In its most recent report on “meeting the needs of Muslim pupils in state schools”, the Muslim Council of Britain asked only for halal and non-halal meat to be handled separately, to avoid contamination, and for clear labelling. Jon Benjamin, the chief executive of the Board of Deputies of British Jews, said: “This is simply not an issue. Jews of a certain level of observance would not eat in non-kosher restaurants or dining halls. “Children at mainstream school who are bothered would probably have packed lunches. He said: “It is disappointing that schools can not be sufficiently organised to give children a choice of meat. 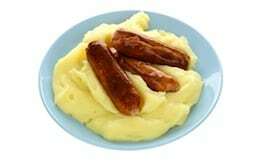 Sausages and roast pork are staples of a British diet and children enjoy eating them. Healthy eating rules on school meals mean sausages can only be served once a fortnight. Many schools across the country already supply halal meat either as an option or exclusively. Some have been criticised for not informing parents or consulting with them about the decision to switch to a fully halal menu. This is only going to cause resentment, and gather a storm, for the Non Muslims to start protesting and asking questions on product identification! We are already bombarded with questions from concerned parents, asking and complaining if the meat their children is eating is Halal or not! We must remember that many parents are refusing to let their children eat Halal, when they know its on the Menu! Is this getting out of control?